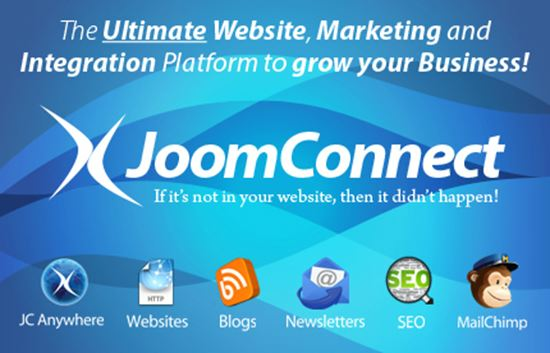 JoomConnect is a website, marketing, and integration platform that can help streamline every operation of your business. JoomConnect has built many ConnectWise Manage integrations for inbound and outbound marketing services and can help your IT/MSP drive its marketing initiatives forward by automating them with ConnectWise Manage. JoomConnect offers services such as IT/MSP blog distribution, printed and e-newsletter services, content creation services, brochure kits, marketing campaigns for MSPs, and SEO services. The JoomConnect platform is designed to completely automate your prospect-gathering efforts; deploy opportunities, activities, and tickets for your team, track and manage website visitors, and do it all before you even type a single keystroke into ConnectWise. JoomConnect has partnered with some of the leading IT/MSP third party service providers to bridge third party portals under our unified login solution so your clients can benefit from a single login and gain the ability to submit service tickets through the ConnectWise Client Portal. 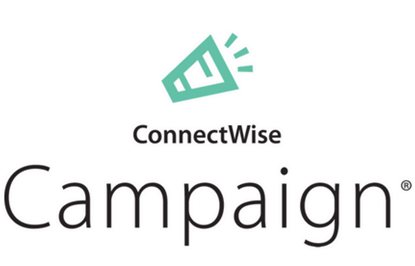 In addition, JoomConnect can integrate your marketing strategies and sales activities with the ConnectWise Campaign Manager empowering your company’s ability to organize effective marketing campaigns by having JoomConnect automate and track every aspect of your marketing effort. JoomConnect is now proud to offer the innovative cloud-based JoomConnect Anywhere service that allows ConnectWise Manage API functionality for sites on alternate web platforms including, but not limited to, Wordpress and Drupal. This is the best marketing integration made for ConnectWise. We researched several different options and JoomConnect offered the best band for the buck. Very happy with their service and support. Did I mention how WONDERFUL this solution is? It's everything that CW can't do with your website, integrated right into CW. I know the JoomConnect gang personally, and they are 100 percent dedicated to helping MSP's succeed. Just try it! Choosing JoomConnect was one of the best investments we made along with ConnectWise. Using automation templates to capture information directly into ConnectWise from our website adds great value. We also use the integration with Mail Chimp for our big marketing emails, and it makes it so nice. Their customer service and support is the best. I have been using JoomConnect for several years. They offer the ultimate integration between your website and ConnectWise. The features of JoomConnect are amazing. If you are looking to close the loop between your web sales leads and ConnectWise opportunities JoomConnect is the answer. I would recommend them to anyone. They are great company to work with. If you don't have JoomConnect, you are missing out! Great application to interface your website with Connectwise. Lot's of features, and they keep adding more features all the time! Support is great as well. This is a must-have for any Connectwise user! Choosing the best tools to give our partners the best experience while having full integration with ConnectWise, the answer is JoomConnect. Whether you just need web or full integration, Chris and this team can make your MSP look great while integrating with your PSA. We recommend JoomConnect to all our ConnectWise partners.